The brilliant young Russian cellist Lev Sivkov will be visiting New Zealand to play concertos with regional orchestras and while he is here will give some chamber music concerts with recently appointed Auckland Philharmonia Orchestra Concertmaster Andrew Beer and the highly respected pianist Sarah Watkins. 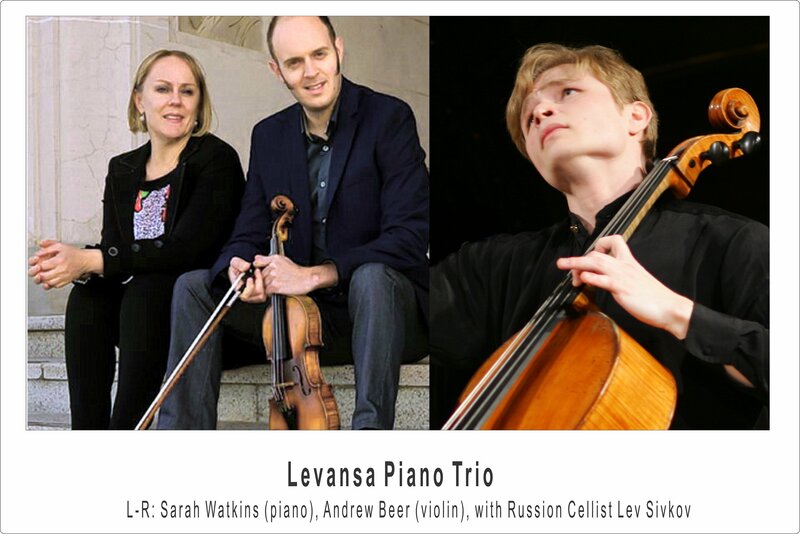 Combining their musical talents to form the Levansa Trio, they will be playing an attractive programme of works by Debussy, Grieg, Duparc and Beethoven. He played his debut recital in the Weill Music Room, Carnegie Hall, in 2016. Since then he has been in demand as a recitalist and soloist and has also been appointed as Principal Cellist of the Zürich Opera. Violinist Andrew Beer has come to New Zealand from L’Orchestre Symphonique de Montréal. His recent recital and chamber music appearances include Edinburgh Festival, Aspen Festival and Weill Recital Hall, Carnegie Hall. Sarah Watkins, well known as a member of NZTrio, has been described as a ‘national treasure’. She has enjoyed an impressive career as chamber musician, collaborative partner and recording artist.